Spectacular views. This sums up Hotel Estoril Eden. 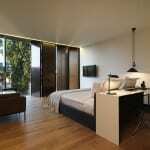 The Estoril Eden is an apartment hotel located along the city of Lisbon’s coastline. 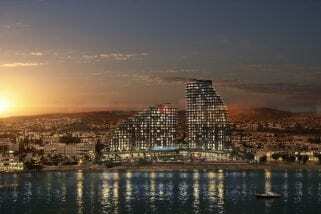 It is nestled between Estoril and Cascais, on the seafront. 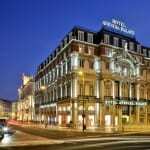 The hotel is 20 minutes away from Lisbon and only 100 meters away from the train station. The beaches are only a stone’s throw away too. Most of the hotel rooms offer spectacular views of the sea. My room was on 13th floor and the view was breathtaking. 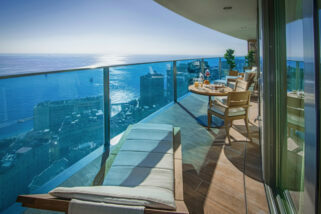 Hotel Estoril Eden comprises 162 rooms including two suite-penthouses. Each room is equipped with complete soundproofing, air-conditioning, LCD, telephone unit, safe, en-suite bathroom with amenities, kitchenette, and a balcony. It has everything you would need in an apartment. 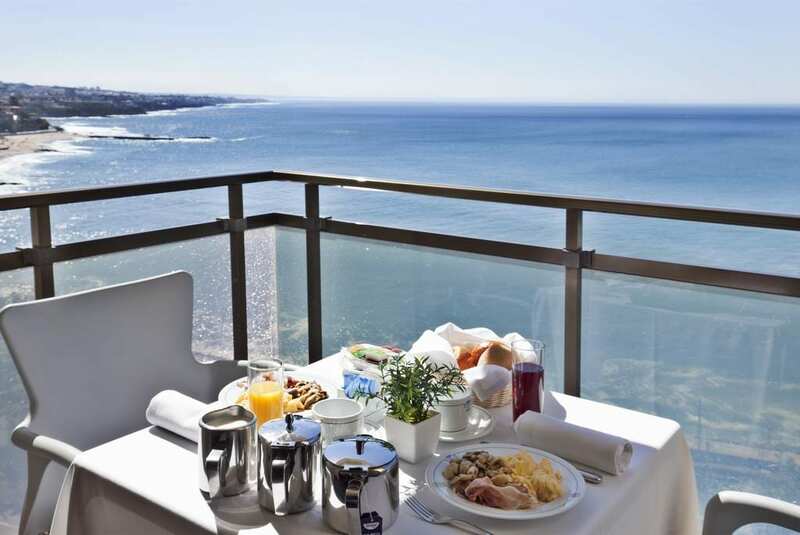 All rooms have a balcony with the option of land view or a stunning sea view. 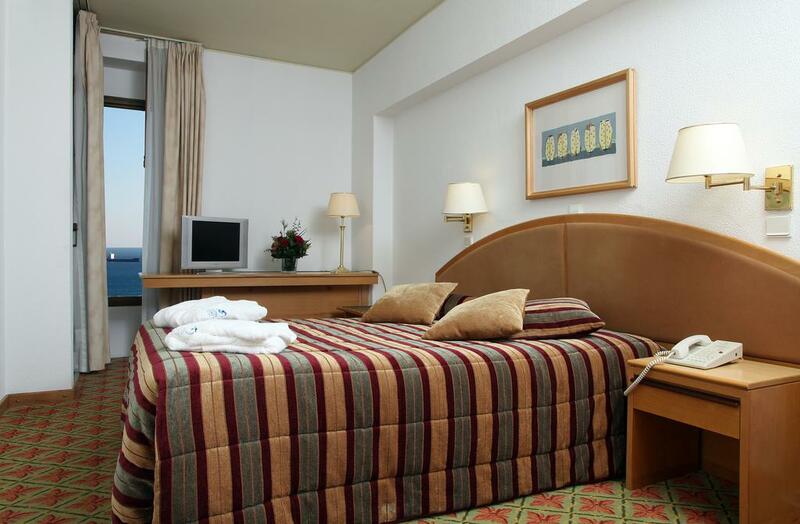 Though Hotel Estoril is perfectly located as it is close to Cascais and Estoril and the train station is right across the hotel. If you’re arriving via public transport, you’ll have to navigate through the flight of steps and underpasses to get to the hotel. Also, the main entrance of the hotel is actually around the back. However, if you’re traveling alone with little or no suitcase then this might not bother you. The hotel does enjoy easy access to a range of coffee shops, restaurants, and boutiques. There is also a small park with a bird aviary and play area. The park would be an added bonus for those with little ones. If you fall into this category, you might want to pack a picnic basket and relax at the park. The hotel’s rooms are spacious with plenty of wardrobe space. There is, however, no flat iron on hand, but the kitchenette will come quite handy. There is also a cheaper supermarket nearby so you can save on extra water and other basic necessities. Rooms are cleaned every other day and towels are changed as and when you wish. Be sure to keep anything of value in the safe. 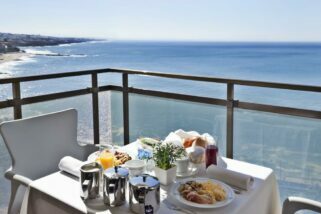 Hotel Estoril Eden boasts of a panoramic restaurant named ‘Garden Patio’. From the name itself, it offers stunning views as guests dine surrounded by greenery. 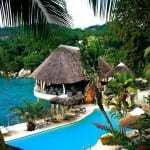 The hotel also features a nice bar, pool bar, disco bar, indoor heated pool, and an outdoor pool. The “Bellevue” is known for its refreshing drinks and breathtaking views of the sea while the “Bistrot” Bar is found at the pool. 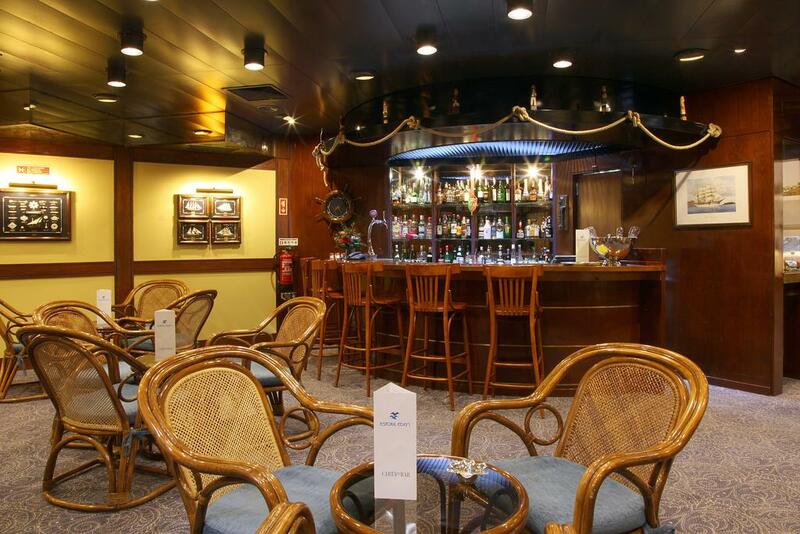 Guests can lounge there while sipping their favorite drinks. Light meals are also served year round. 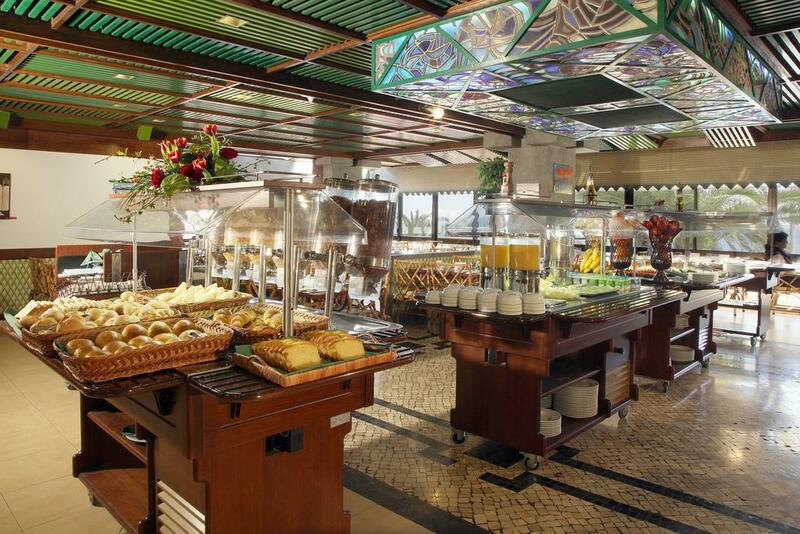 Breakfast at the hotel offers a wide selection and varies daily so you may not use your kitchenette much. For your breakfast at least. 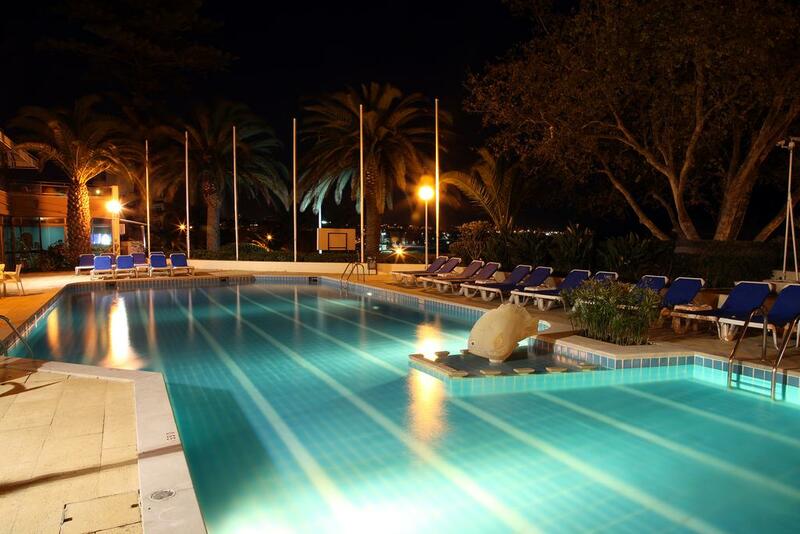 Leisure activities abound at Hotel Estoril Eden. But if you fancy outdoor activities, there’s nothing to worry about either. A good number of stunning golf courses in Lisbon offers guests at Hotel Estoril Eden a special price. 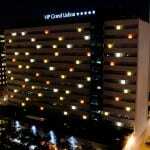 Guests can book directly at the hotel. If table tennis is your cup of tea, the tennis clubs in the area also offer special rates for hotel Estoril guests. Other sports are also available nearby. From motorsports, surfing, windsurfing, sailing, kite surfing, rock climbing, to hiking or mountain biking, guests will not run out of activities to enjoy while staying at the hotel. Though Hotel Estoril Eden may not have its own spa, hotel guests can take advantage of the Banyan Tree Spa and Thermal Spa facilities close by. 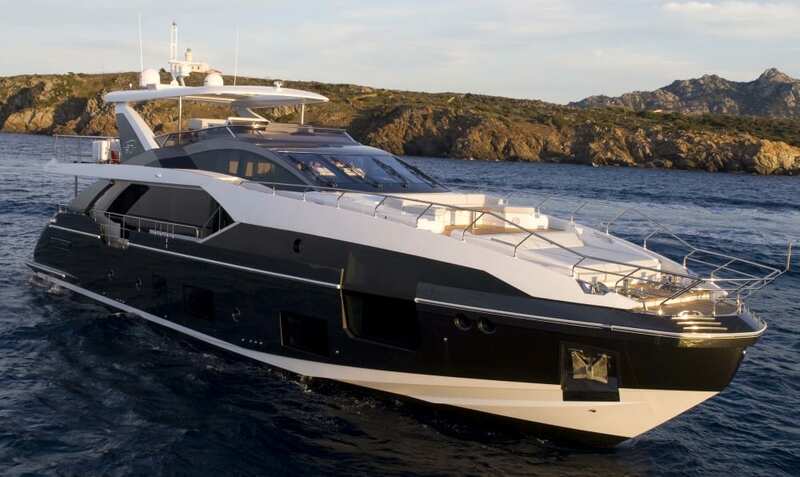 The Cascais Marina, the Estoril Autodrome, and the Sintra mountains are also easily accessible. Lisbon has a lot to offer. A step outside of the hotel could easily lead guests to magnificent palaces, castles, historic places, old Portuguese churches, museums, and parks just to name a few. Along the coast are restaurants serving up traditional Portuguese cuisines that will surely prove to be a gastronomic delight. Not surprisingly, fresh fish and seafood are available in Lisbon year round so seafood lovers will definitely have a fantastic time.